Tips to get More Readers on LINE Webtoon? So I started a weekly webcomic in late October/early November on Line Webtoon and viewership has been...slow, to say the least. I don't want to complain too much because the readers I do have are very sweet and I haven't really had to deal with rudeness just yet, but based on what I see of other stories that have started after mine, my viewership is rather low and I can't seem to put my finger on why. I suppose my comic just might not be that good? That's certainly a possibility? Or it's just not getting to that many people because I'm not posting at the right time or in the right place? So does anyone have tips on how to succeed at different methods to get my comic to more viewers on webtoons? Like maybe how to cross promote with other artists, or what times are best to post? On a related note, does Webtoons not have a forum like Tapas does? I googled around but couldn't seem to find one. Webtoons isn't much for community-building, is it? Well, I also post my comic on here. But I get even lower views here, so I figured webtoons was the better gamble to get more readers. Hmm I read your first chapter and I don't think your comic is not good enough to do well. I enjoyed the art and the story telling was fine, although I only read one chapter so I can't comment too much, just from first glance it left a good enough impression with one chapter that I subscribed. I do know a lot of readers on LINE like color, so that may have something to do with it. Hello! I've read a few chapters of your comic and here's my thought on it! I agree with @beta1042 I think color would really help in getting audience from LINE. I think it's because they are used to read a colored webcomics, so most of the time they prefer a colored one. Anyway, this is just a suggestion best of luck with your comic! And hmm...adding color is something I've been considering for a while. I'm just a bit worried that will slow down my update schedule. Since I hear that readers on Line prefer longer updates, and so far I've able to give relatively long updates every week. But I've made color comics before so I know that adding color will slow down my pace significantly. Maybe I'll ask the readers I have what their opinions are on the matter. But is anyone else having the color vs. black and white problem? Hey! I read your comic! Even though you already changed it, the reason you were not getting enough views isn't because it wasn't colored. Sometimes black and white comics are better! Most likely you weren't getting enough views because of your art style, in my opinion it was really good!! But some people are picky when it comes to art styles. Do not take this in any way offensive! Really though! I did enjoy the story line and art! But some people are just weird with art. I think you're improving though! Keep up the good work! Thanks for this reply. I made that post a long time ago, so I have made a separate color version of the same comic that runs alongside the black and white version. I made the color version to enter the webtoons contest and although I didn't win anything, I did get one of the many honorable mentions they issued out and earned a spot in their frequently recommended comics. The color version currently has waaaay more subs than the black and white, but i think that's more because that's just the version webtoons promoted. Anyways, I do think you are right. Since I've been making the comic I've been told multiple times that while my art style isn't bad it's just odd especially when put besides webtoons more anime/Korean-style art. (Which still baffles me because every time I try to get a "professional art job" all of the older artists tell me my style is just kind of generic anime style and there's nothing distinctive about it -_-) So, I guess my art is just an acquired taste? I don't really know what to do though. I know my art is improving but i haven't really changed my style...and I don't think a major style change will help either this far into the story for the readers I already have. Who knows what i'm supposed to do at this point? Because my goal is to be a featured artist. That may be silly of me to work towards that, but I think I can do it...eventually.... there's just a lot of weird road blocks. 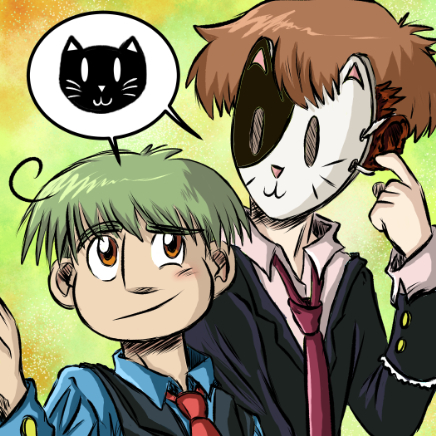 But at least coloring it did get webtoons attention to promote me every so often, so that's a step forward I suppose?